Traditionally Business Intelligence (BI) was the domain of the IT department. Now, with self-service BI tools like Tableau, you can unlock the value hidden within your data with little to know assistance from the IT department. In this webinar, learn how to extract meaningful information that you and your organization can act on quickly and intelligently using Tableau. The minimum skills required to drive Tableau are approximately at the level of Intermediate Excel. Of course, there is more utility gained with a deeper understanding of the software and there is also functionality in Tableau which is complex and takes the Analyst to the next level. 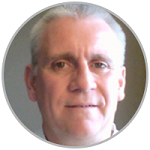 John is a Military Veteran with over 22 Years of Service. Prior to becoming a dedicated IT Geek, John was an Aircraft Engineer in The Royal Air Force working on multiple aircraft types including the Phantom F4J, Tornado GR1, and GR4 fast jets and the Chinook helicopter. It was the move from Aircraft Engineer to Data Engineer and working on Aircraft Data and Databases that enabled John to focus on all things IT, including Programming (FORTRAN, C++, VB), Database Design and Data Wrangling. John is a great believer in Education and Training, especially classroom-based instructor-led training, and, as a Senior Learning Tree Instructor, has worked with Learning Tree for almost 20 years. John has multiple Learning Tree Certifications and Microsoft Certifications most of which are focussed on Data and Business Intelligence. John is currently contracted to NATO in Belgium as a Senior Business Intelligence Consultant and Data Engineer.